Styled as a unisex "pull-up" boxer. 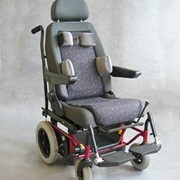 Available in two practical colours and constructed from snug fitting cotton elastane. 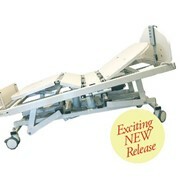 The slimline pad is designed for light incontinence of up to 150mls in a 4 hour period. 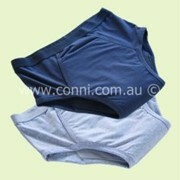 These undies are designed for the 'little' accidents and may be useful during day time toilet training. Note: They should not be used as a replacement for a disposable nappy or pull-up. 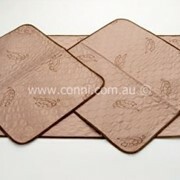 Prescribed by clinicians around Australia as a continence aid for special needs children. Warm machine wash with a quality laundry detergent. Napisan is recommended for difficult stains. 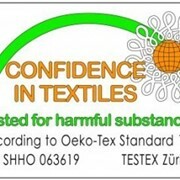 We do not recommend the use of harsh bleaches or fabric softeners. 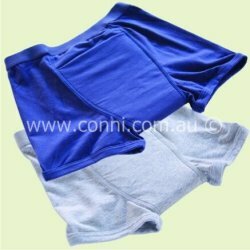 Conni undergarments can be line dried or tumble dried on low heat.